The sister of an Irish businessman murdered in North Carolina has revealed members of her family participated in a major US network documentary on the crime because of "scurrilous" attempts by his killers to destroy his reputation. Tracey Corbett Lynch warned the killers of her brother, Jason Corbett (39), that they will never cease their campaign to see justice done for the father-of-two - and to defend his good name and reputation. Molly Martens (35) and Tom Martens (68) were convicted in August 2017 of the second-degree murder of the Limerick-born businessman, who was beaten to death as he slept in bed in August 2015. The Tennessee father and daughter are now serving 20-25 years in North Carolina prisons but have appealed their convictions. Now, US network CBS is to devote a full episode of its documentary 48 Hours to the Jason Corbett murder at 8pm EST on Saturday. Members of both families have been interviewed for the programme. Tracey explained that the decision to participate in the CBS programme was made on the basis of allegations levelled by Tom and Molly Martens in a US TV interview recorded before their murder convictions two years ago - and broadcast just 24 hours after their imprisonment. "Tom and Molly Martens did not seek just to kill my brother - they also sought to destroy his good name and reputation," she said. "Even before their 2017 trial, they had given an interview to a US TV channel in which they levelled unfounded and scurrilous allegations against Jason." Molly had claimed, in a graphic interview, that she was afraid of her husband. However, she declined to give evidence in her own defence at the trial - and no such allegations were ever entered into evidence. Tom Martens, a retired FBI agent, acknowledged in his own trial evidence he had never seen or heard the Limerick father-of-two ever threaten or abuse his daughter. "We will never falter in our campaign to ensure that Tom and Molly Martens serve the full sentence handed down by a North Carolina court for their terrible crime," said Tracey. "We will also never tire of defending the good name and honourable reputation of a dearly loved father, brother, son, uncle, friend, as well as a proud Limerick native." Tracey said she had made three vows to her brother - to see justice done, to protect his two children, Jack and Sarah, by his late first wife and to defend his good name. She paid tribute to Davidson County prosecutors and "the good people of North Carolina". Tracey also said Tom and Molly Martens had never apologised for what they had done. "They have never shown one ounce of remorse for beating a helpless father to death as he slept," she said. "We felt the allegations levelled by Tom and Molly Martens needed to be publicly challenged in the US - and that is the reason for our involvement with the CBS programme." Last month, Tom Martens and his wife, Sharon, settled a wrongful death lawsuit taken against them by the estate of Jason Corbett. 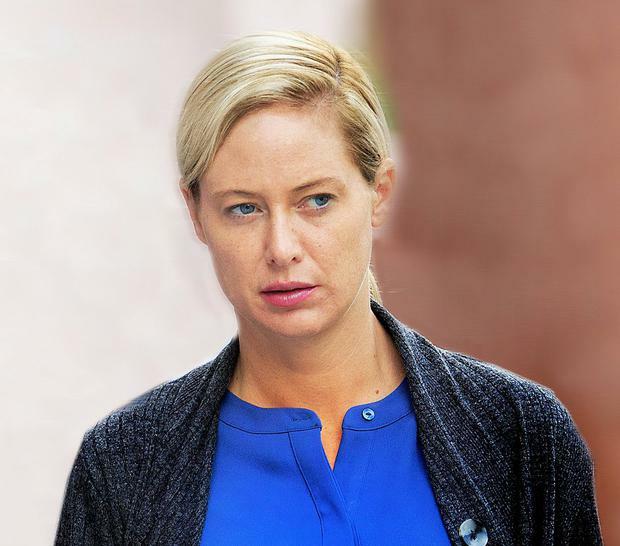 Molly Martens was dismissed as a party to the wrongful death lawsuit and settlement - but agreed to void her right to any insurance policy payments due on her husband's life. She was the sole named beneficiary of her husband's €500,000 insurance policy at his death in August 2015. However, the policy, which included his children as beneficiaries, was mysteriously changed online before Mr Corbett's murder to ensure she was the sole named party to benefit. The €160,000 settlement was tabled by Tom Martens and his wife, Sharon. The Martens' insurance firm will pay a further €17,500 as part of the settlement.